Thanks to the increase in cross-border exchanges, Pakistani celebrities have developed a considerable fan following on both sides of the border. But of course things get a lot more interesting when your fan base also includes renowned Bollywood artistes and filmmakers; Karan Johar in this case. No we are not talking about Fawad Khan. 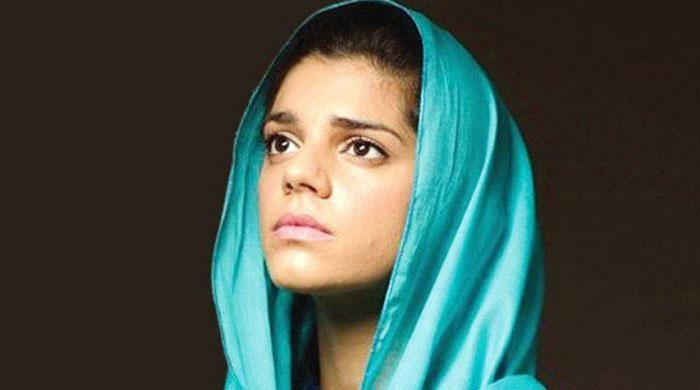 This honour belongs to our very own Sanam Saeed, who was recently seen in Anjum Shehzad’s Mah-e-Mir. The actress recently took to twitter to thank K Jo. for not only following her on Twitter but also appreciating her work in Zindagi Gulzar Hai. The conversation began with Sanam posting, “I just saw that you [Karan Johar] followed me. Hello and welcome, I’m honoured!” on her Twitter profile. Responding to her tweet, Johar said, “Hey! Loved you in Zindagi Gulzar hai”, to which the actress replied with a gentle thank you. It’s not just the audiences in Pakistan who loved Saeed as Kashaf in Geo TV dramas serial Zindagi Gulzar Hai. A large number of Indian viewers also appreciated the play as well as the performances of the lead actors including Fawad Khan as Zaroon. Zindagi channel has clearly opened doors for Pakistani celebrities looking to make their mark in B-town and have offered them a platform to show their talent. It was after all Fawad Khan’s performance in Humsafar that helped him land a role in Bollywood. Earlier, actor Rishi Kapoor and actress Vidya Balan have also commented on how Pakistani dramas have them hooked onto TV screens.